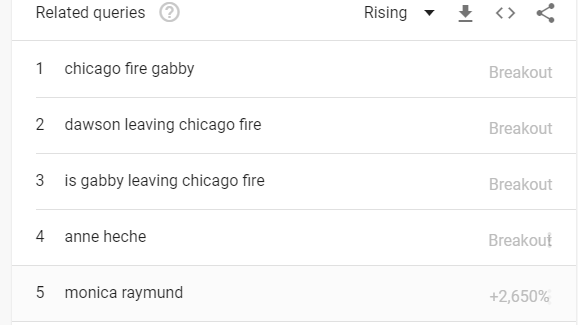 Welcome to the Chicago Trends Scoreboard, brought to you by Logical Media Group (and Google Trends, of course)! Based out of the historic River North neighborhood, we hold firm to the belief that we live and work in the greatest city on earth. Therefore, each week we’ll dig into the data provided by Google Trends (a free tool!) and social media outlets that outline the topics most frequently searched by Chicagoans that week. We’ll also provide any relevant links to content surrounding those topics around the internet that might be of interest to our neighbors around town. We’d love to hear from you about our scoreboard, please contact kevin.hughes@logicalmediagroup.com with any questions or comments. Check the bottom of the post for some additional information about how we gather and interpret this data. The Laver Cup wasn’t supposed to be the marquee sporting event of the weekend in Chicago, or anywhere really. With the Bears on the television, baseball gathering steam headed into the playoffs and Tiger Woods rising from the dead, Tennis understandably might not have been top of mind. To local enthusiasts of the game, however, the 2nd anniversary of the tournament honoring the Australian tennis legend Rod Laver, was a once in a lifetime opportunity. That may sound dramatic, but the Windy City hasn’t been a consistent host to any major Tennis events in recent memory, so when Roger Federer and team Europe came to visit fans knew it was worth buying a ticket. With a Europe VS. the World competition format, older fans were treated to a bit of nostalgia with each team being captained by former rivals John McEnroe and Bjorn Borg. Ultimately the Euro team left victorious with a 13-8 victory, but the World Team put up a fun fight. John Sock and John Isner defeated Federer and Germany’s Alexander Zverev in an exciting doubles match, which concluded with Sock putting on a Chicago Bulls jersey to please the home crowd. Isner failed to capitalize on a match point against Federer later in the day. 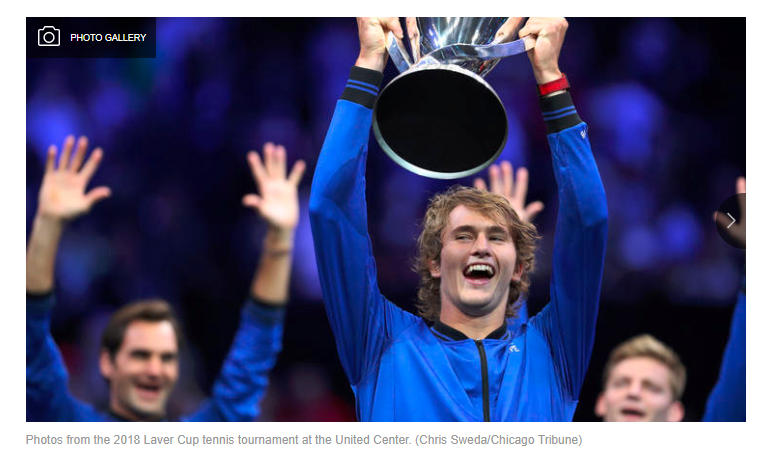 The players seemed to enjoy the Midwestern hospitality, in a closing interview with the Chicago Tribune Zverev mentioned that he “hoped one day the Laver Cup will come back to Chicago.” Can’t say we disagree. There’s nothing like life in the city, although occasionally folks in more rural areas get to experience simple pleasures like a corn maze on an autumn night. 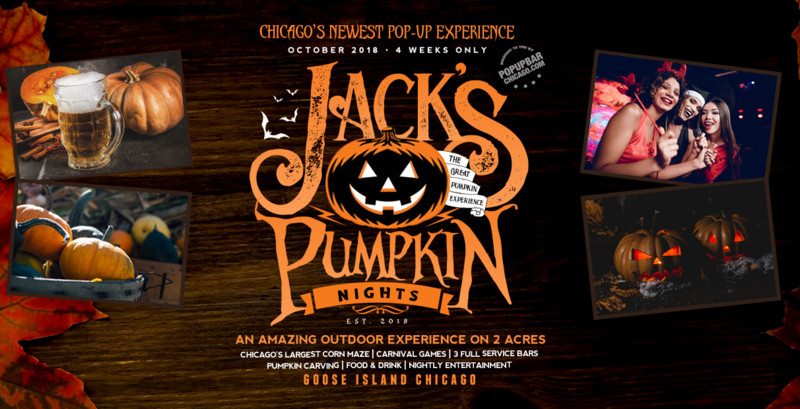 That experience is now afforded to the residents of Chicago, however, with the arrival of Jack’s Pumpkin Night pop-up festival on Goose Island. The entire month of October will feature two months of land organized into a corn maize, three full service bars, pumpkin carving (carving and drinking ought not be combined). You will have to be resourceful to get the full experience, https://chicago.eater.com/2018/9/19/17878360/jacks-pumpkin-nights-pop-up-beer-garden-corn-maze-south-park-bar-replay-intel as one pop-up beer garden is actually hidden within the corn maze, according to Chicago Eater. In addition to the nightly festivities the team behind the Jack’s is open to planning private parties, corporate functions, bachelor parties etc… From October 5th-November 5th you can experience some country living right here in Chicago. Visit the official site for the festival to learn more here. 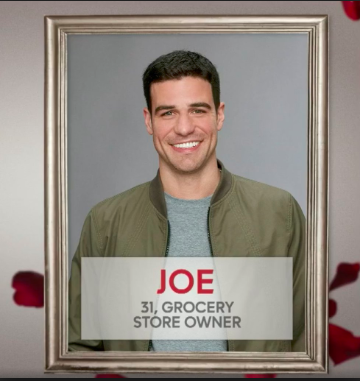 By now most Chicagoans have heard of “Grocery Store Joe,” or at least Chicagoans who either watch reality TV, are active on social media, or personally know someone who is in love with him. The budding reality star initially found his fame as a somewhat bumbling, albeit handsome grocery store owner from Chicago on the Bachelorette this past May. The 32 year old was born and raised in Melrose Park before taking over his family produce business on Maxwell Street from his grandfather. Eventually becoming a part time owner of Eric’s Food Center in Hegewisch on the South Side. Joe’s claim to fame is not his ability to perform on television, frankly he’s terrible, but rather his candid nature and charm woven in with that whole Cary Grant thing he has going. After a controversial exit from his stint on the Bachelorette, he’s now due up on Dancing with the Stars. His first appearance on the show (9/24) went about as poorly as his dating show debut, with the lowest scores of all contestants. Joe may never be the most talented TV star, but he seems to have won the hearts and minds of the people nevertheless. Tracy Swartz of the Chicago Tribune is currently responsible for the “Grocery Store Joe Beat” for the Tribune, her coverage of Joe and DWTS can be found here. Chicago is a popular filming destination, anyone who has ever taken a tour of the city by air, lake, or bus has heard a tour guide point out the building tops where Batman perched over the city. Serialized dramas on television have recently taken on an almost professional sports league type of franchise set up, with all major cities getting a team. “Chicago Fire” is our home team, and it’s losing one of its most popular team members. 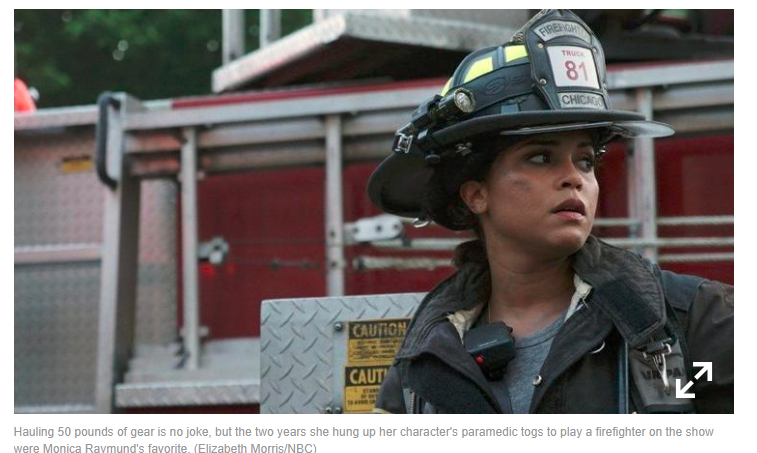 Monica Raymund, the stalwart paramedic (sometimes a firefighter?) has been in the hearts and homes of fans of the show for six years. She spoke with the Chicago Tribune about her difficult decision to leave the show. “I’m not sure the exact moment when it happened, but I knew that my six-year contract was coming to an end and I felt like I was hungry to explore a different role, a different story. I wanted to explore a different world. I had been in Chicago for five years and just personally where I was in my life, I was ready to create my home and kind of plant some roots in Los Angeles.” Monica isn’t retiring though, she can’t say exactly what her next project will be, but she mentions in the Tribune article that it will be dark and suspenseful. Directing may also be on the table, who knows?